This review pleased me a lot. 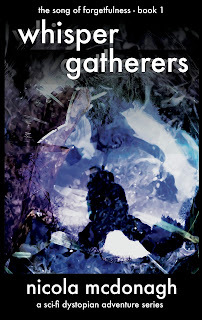 I had taken a chance when writing this sci-fi/dystopian series by introducing a slang-based language. I wasn’t sure whether or not it would work, and whether or not readers would be put off. Judging by the feedback, I am glad to say, it seems to have worked exactly they way I wanted it to. I enjoyed 'Echoes' in this book series, and so expectations were high for this, the prequel. The dystopian world is fully imagined and a treat for any fantasy reader seeking proper escapism. The characters are lovely, with a gutsy heroine to get behind, but for me what really stands out is the dialogue and language, which sets this series apart. Think 'Lord of the Flies' meets the wild children in 'Beyond Thunderdome' and you're somewhere close. It's fascinating to come across the phrases and words that are disjointed from our own yet not entirely different; chinese whispers from our language passed on through the years and slowly changing as they are passed from ear to ear. I love this review because the reader really understood what I am trying to say with this series. It isn’t just a dystopian adventure, but an appeal to my fellow man to save our beautiful planet. The reviewer appreciates my efforts as an author to create a unique world and draw the reader in . A great story full of fun wordplay, great imagery, and an underlying commentary about the frailties of mankind. 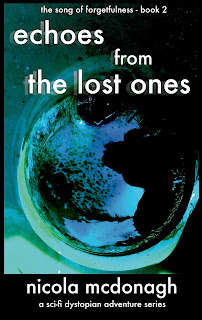 "Echoes from the Lost Ones" is set in a dystopian future where tremendous stress is being put upon the characters in the book by the "Agros" who control both the creation and distribution of food. In the world of the novel, humanity is divided into geographically (and genetically) segregated groups that often view one other with distrust and prejudice, a situation which is aggravated by the scarcity of food. Wildlife has been nearly wiped out and only birds have any degree of abundance due to their ability to evade human predation. But the main character of the book, Adara, has a special and highly sought after skill: she can lure birds from the sky with her voice. She has left her home in "Cityplace" to search for her lost brother who has been taken by the Agros for an unknown purpose. While there are sometimes grim landscapes peppered with the burnt and rusted wreckage of the past, the novel is not post-apocalyptic: whatever calamities brought civilization to this point seem to have been gradual and due to the foolishness of mankind. I think this is an important point and hints at some interesting commentary coming up in the series about the state of mankind today. 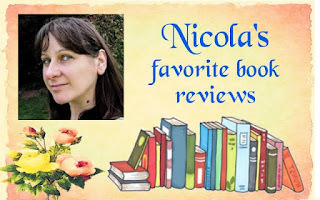 I am excited to see what Nicola McDonagh has in store for us. This review made me feel quite humble. 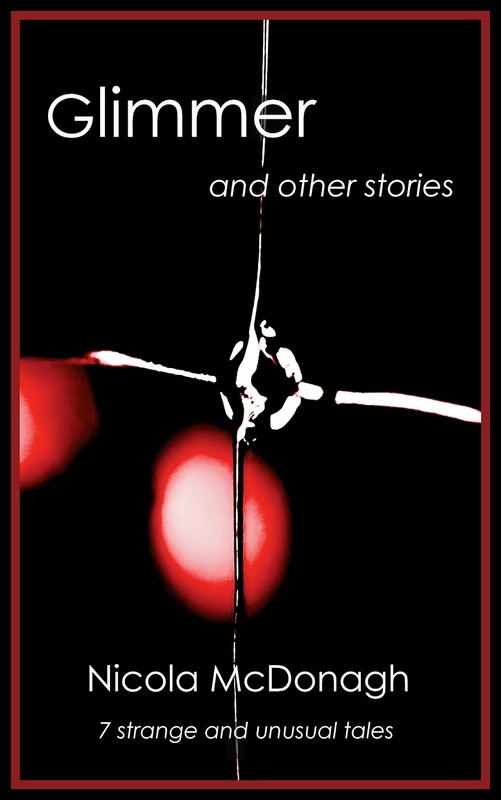 I was so nervous about publishing this collection of short stories because they are examples of the kind of writing I feel most comfortable with, strange, off-beat, surreal. Not to everyone’s taste, so when I started getting 4 and 5 star reviews, I was shocked. In ‘Daub’– “...shadows... crawled along the skirting boards and up the walls like dirty fingers groping for something clean.” The story itself was imbued with a mystical quality that made all the stories such compelling reading. Nicola McDonagh has perfected the art of letting the deeper meaning lurking in the shadows of her stories creep up on you. And when it does it is shocking, even a little disturbing, but for me always satisfying. I was overcome with a fit of superlatives again while reading ‘On the Eighth Day’. For me, it was an exquisite exemplar of sophisticated eroticism, an intriguing mystery that built up to its climax so stealthily that its chilling significance only gradually dawned. Thank you for reading my favourite reviews. They really do mean a lot to an author. Good or bad, reviews help the author to become a better writer by taking note of what readers say about their work. So, if you do read a book, please leave a review, however short. 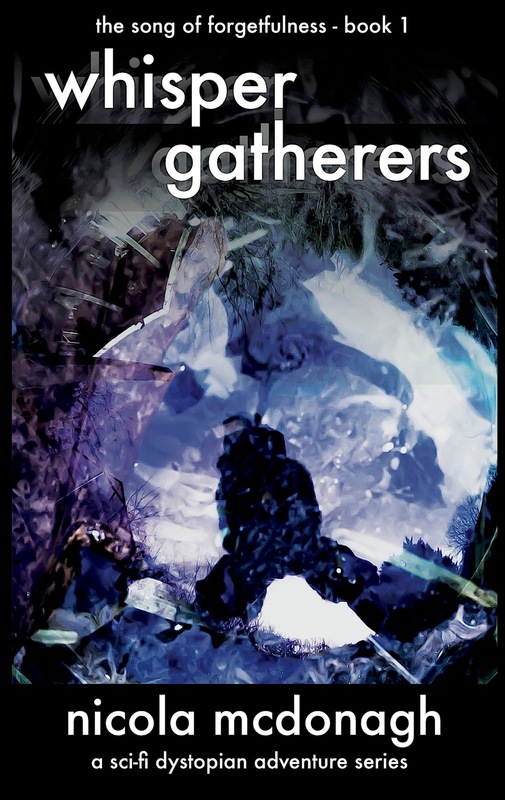 Beautiful prose and the evolution of language in the dystopian Whisper Gatherers is simply amazing. Nikki is a fantastic writer. Stop by and check out her favorite reviews!! Great reviews! I read the sample for Whisper Gatherers and the language was beautiful, clear and yet so different from today's English. And oh my, your prose quoted in the review, evocative and lovely, like poetry!! 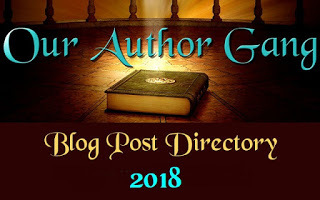 #OurAuthorGang continues with Favorite Reviews, and today author Nikki McDonagh posts her favorite reviews. These are very good, thoughtful and insightful reviews, Nikki. The reviewers really took the "art" of reviewing seriously. Nice! +Nikki McDonagh -- you're welcome! A very nice representation of your stories! Thanks for sharing your reviews. They are great. It is exciting to see when someone gets the message and understands the story. It's the best feeling ever to realise that someone else really gets your work. It sounds like you really made a connection with these readers. Thanks for sharing these reviews. That's what we dream of writers Toi. So it is lovely when it happens. Thanks for you comments. Awesome reviews there, Nikki, but a real glimmering one for Glimmer. I've read that one it it truly lives up to its review. +Nikki McDonagh You are most welcome, Nikki.